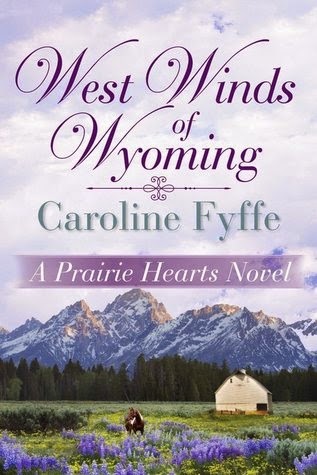 From Goodreads.com: In Book Three of the Prairie Hearts series by USA Today bestselling author Caroline Fyffe, two broken hearts just might find a second chance at love. My Review: To begin with, although this is considered book #3 in the Prairie Hearts series, it can be read as a stand alone novel. There are characters from the first three novels included in this story, however, you don't need to know their back-stories in order for this one to make sense. That being said, I have not (yet) read the other stories in this series. And based on my feelings of this particular novel, I'm not sure if I will or not. I did enjoy several aspects of this novel. I enjoyed the "non-romantic" aspects; such as the rustling of the wild horses, and the interaction with the rest of the townsfolk. I also thought that the "romantic" aspects were very true to the characters. There was an appropriate amount of hesitation, jealousy, and OMG SO ROMANTIC moments that it kept my attention. However... I felt the overall story was slow moving. There was deceit, mystery, romance.. all the things that make a good story. Unfortunately, they were so few and far between that it kept me from declaring this story one of my favorites. The final conflict (the one that kept Charlie from revealing his true name and story) felt so rushed and added that it was anti-climatic instead of adding to the plot.